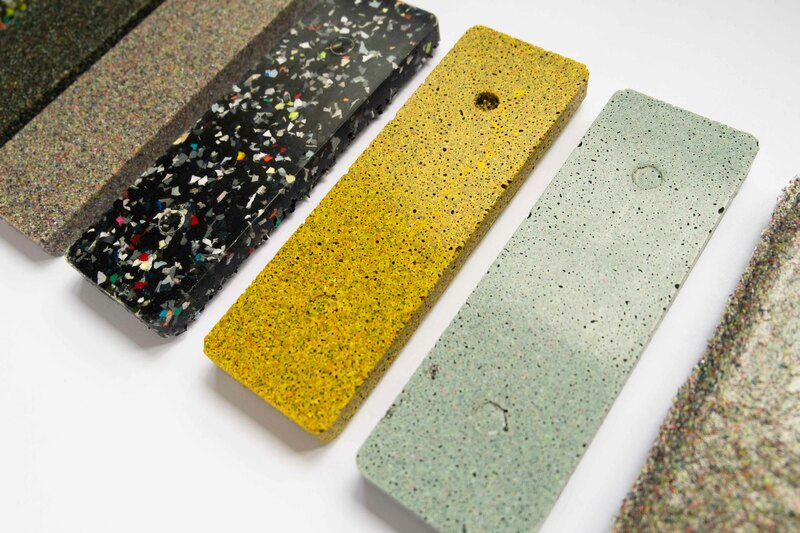 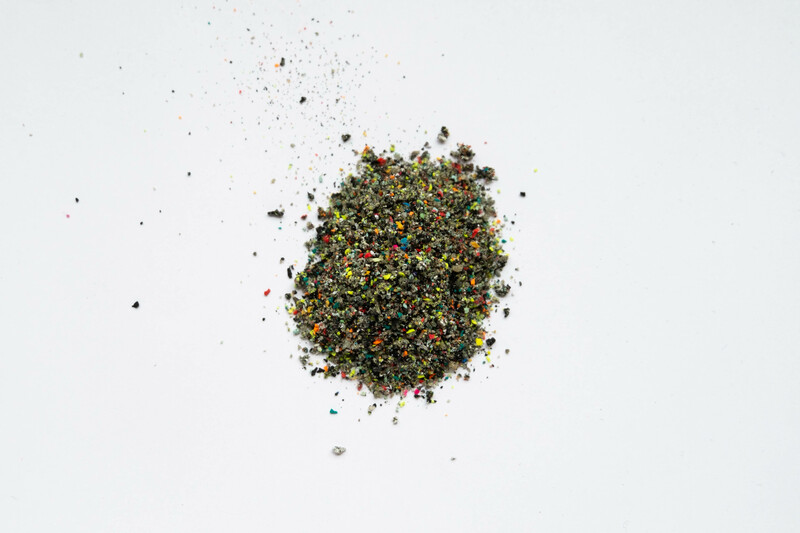 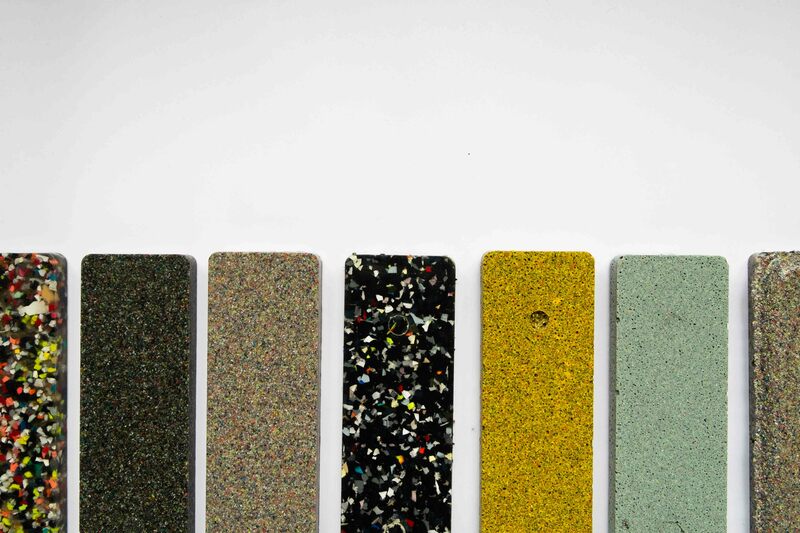 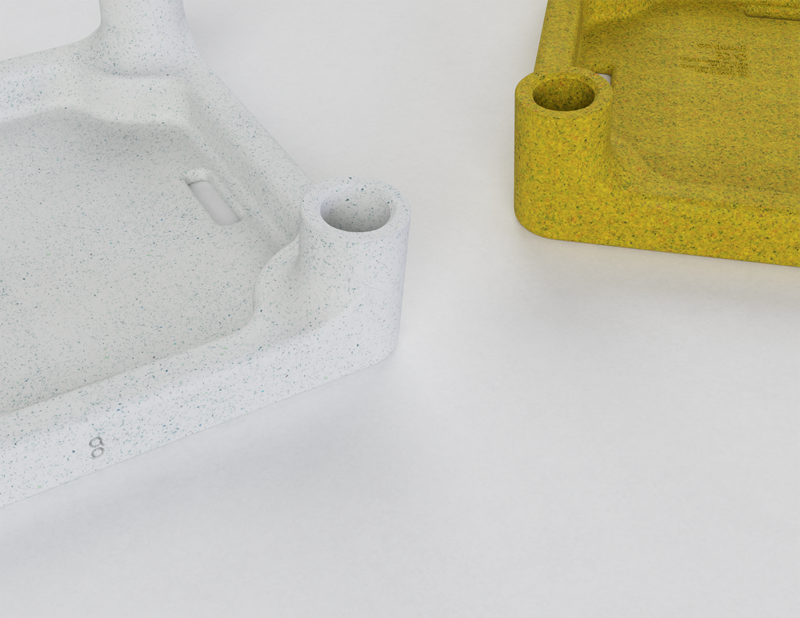 Creating circular product possibilities from footwear material waste. 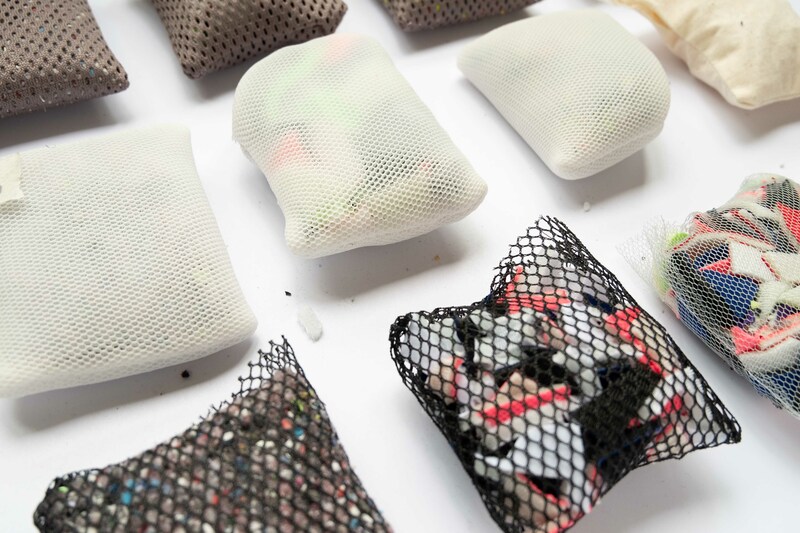 Using recovered materials from both used footwear and footwear manufacturing scrap we developed new design resources. 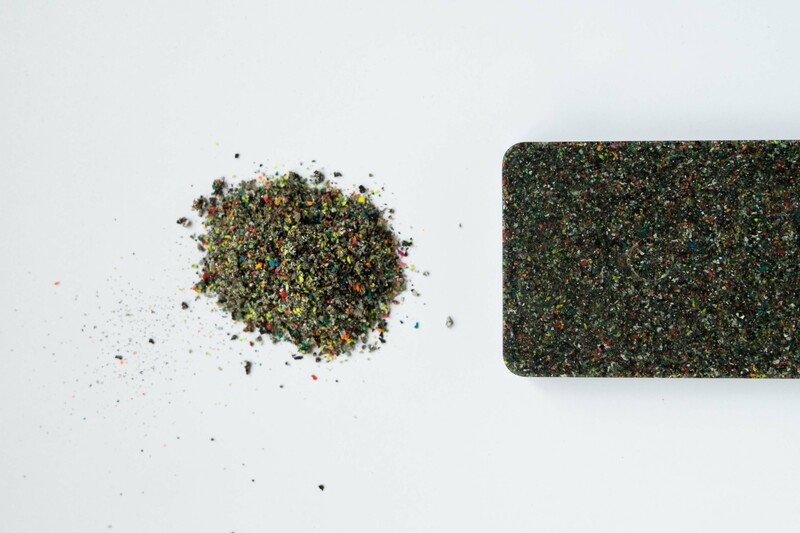 Creating a strong mouldable composite material constructed primarily of granulated rubber, and a cushion fill comprising of ground textile material recovered from the separation of whole footwear. 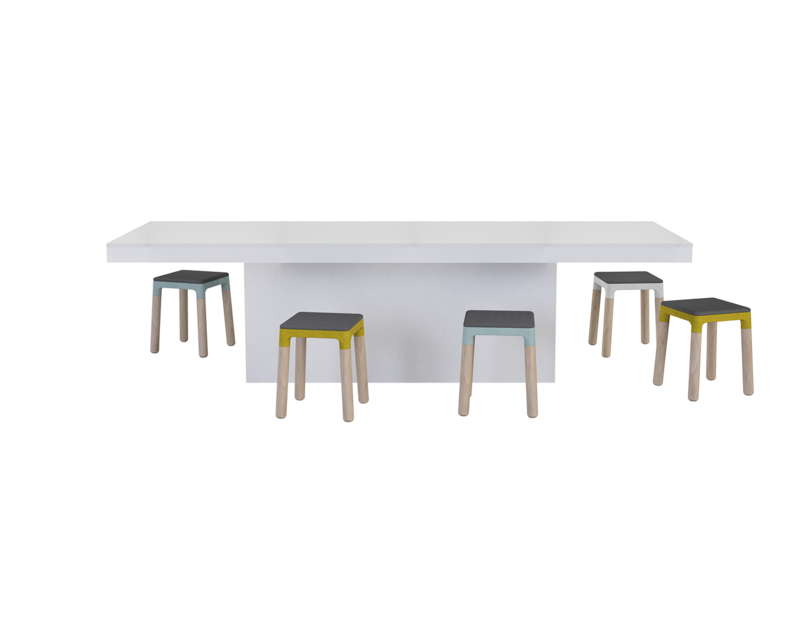 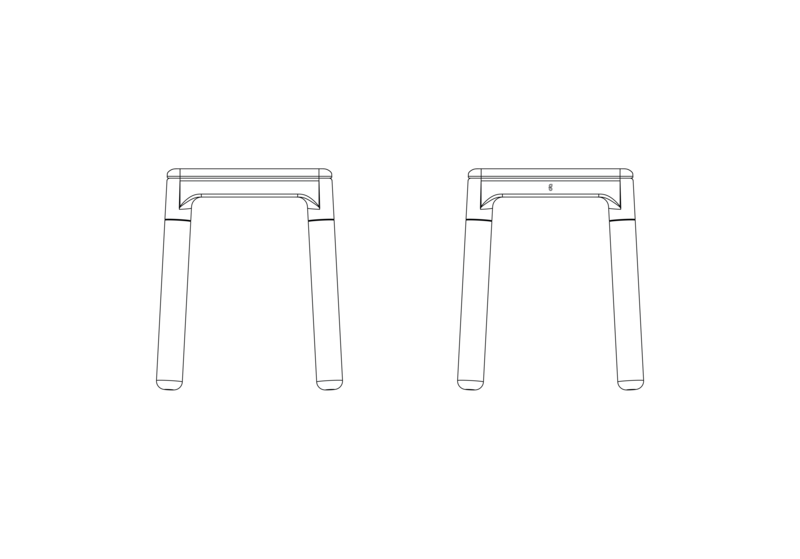 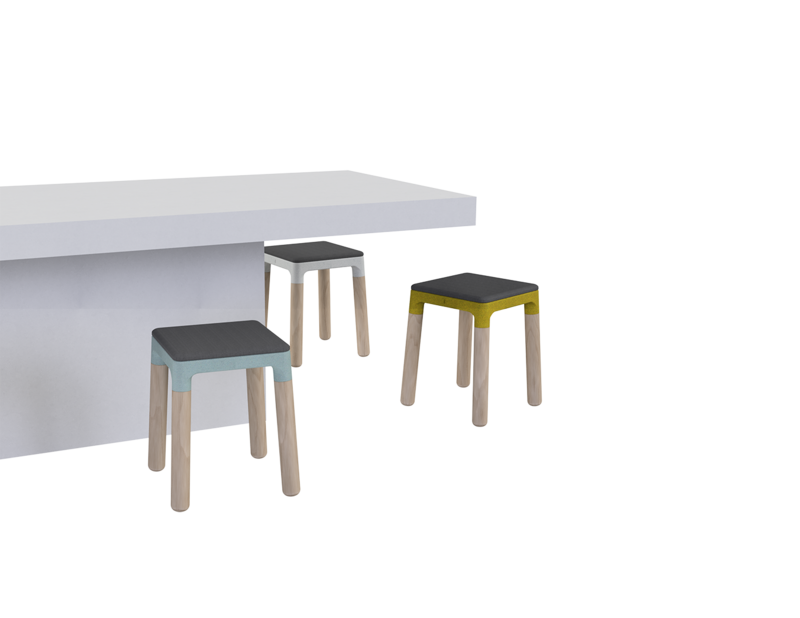 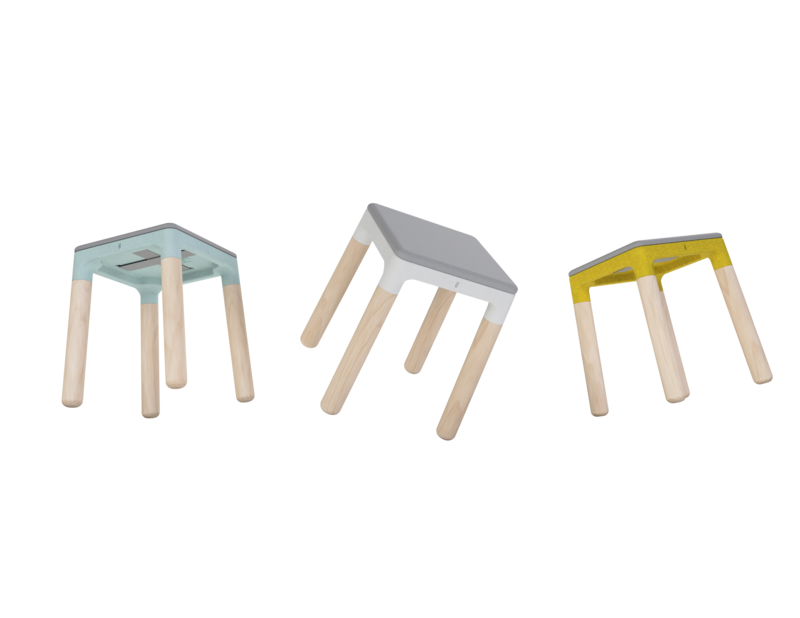 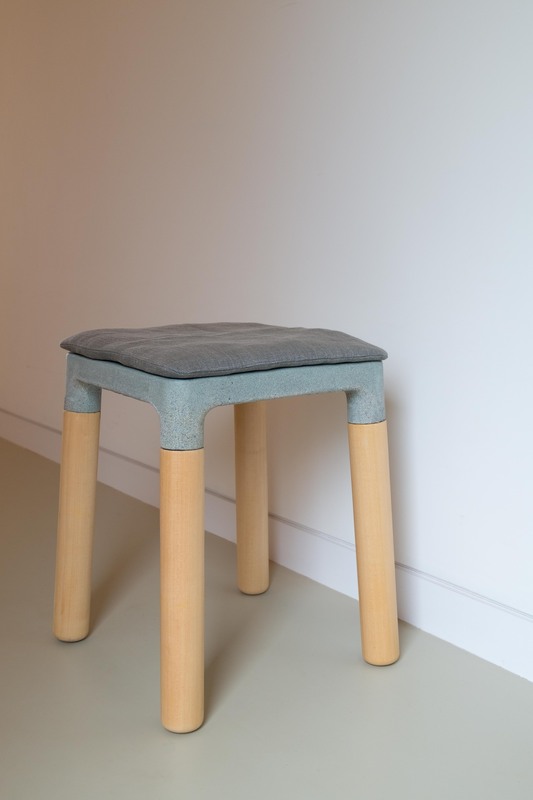 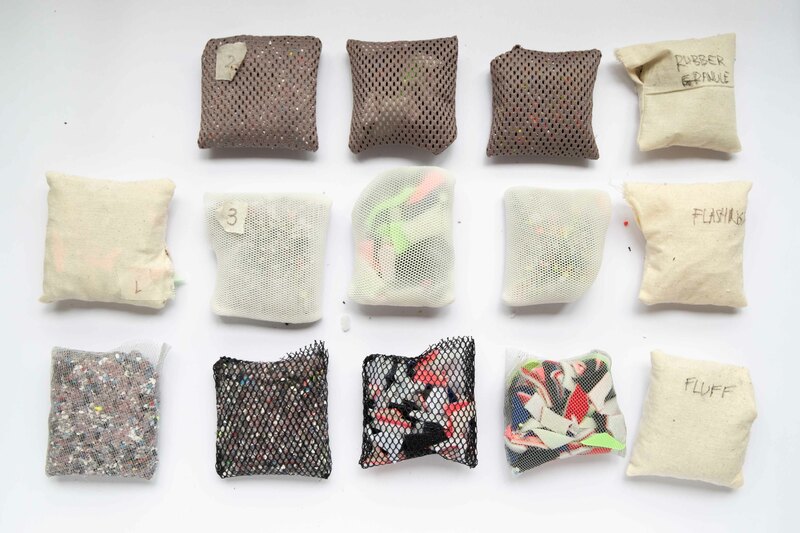 These material outcomes were embodied into a stool design, utilising both the composite for the stool upper, and ground textile for the cushion fill. 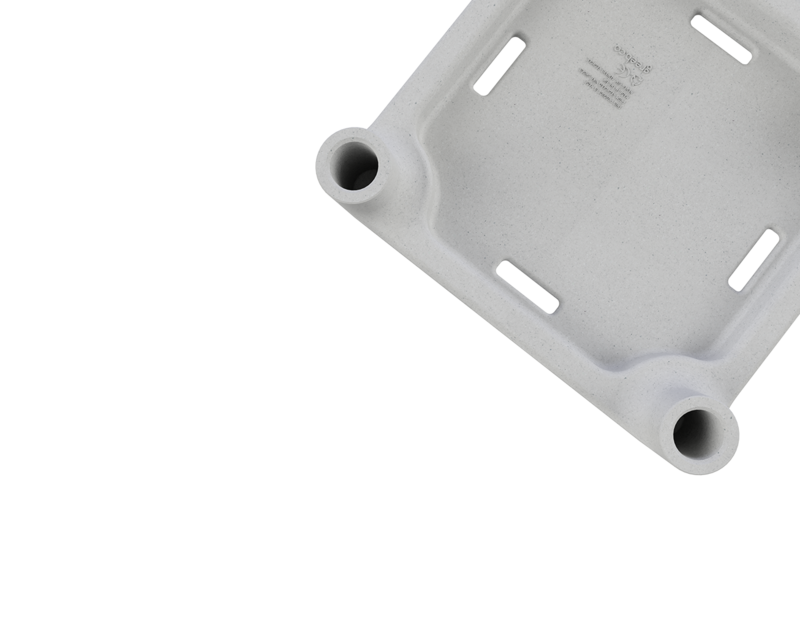 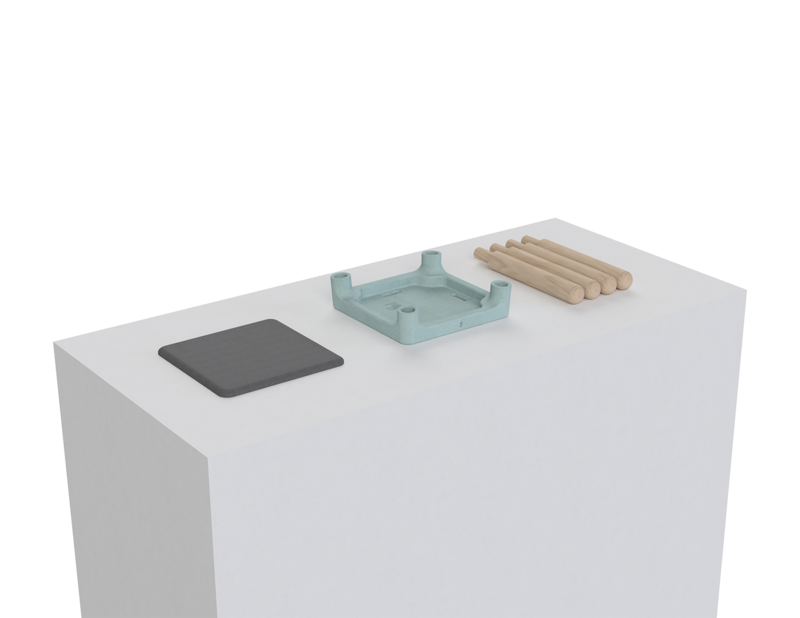 The design is such that no components are permanently joined, allowing for simple assembly, more compact shipping and clean end-of-life deconstruction. 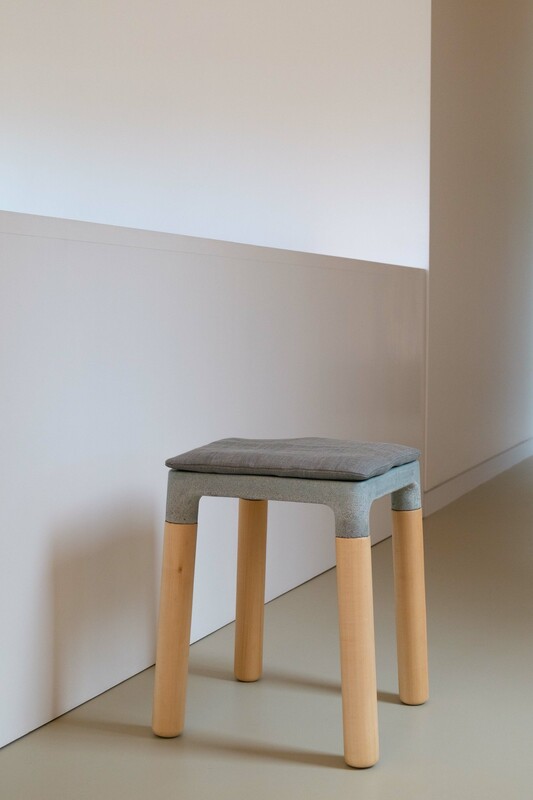 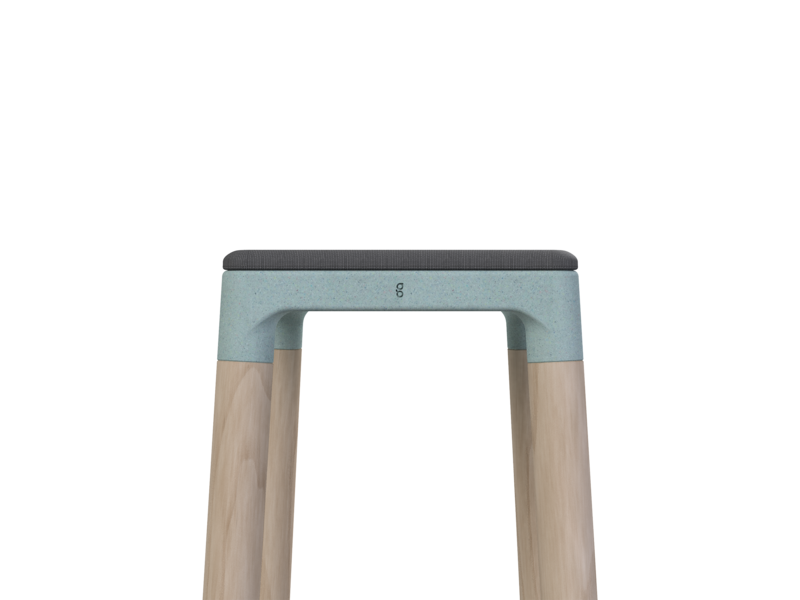 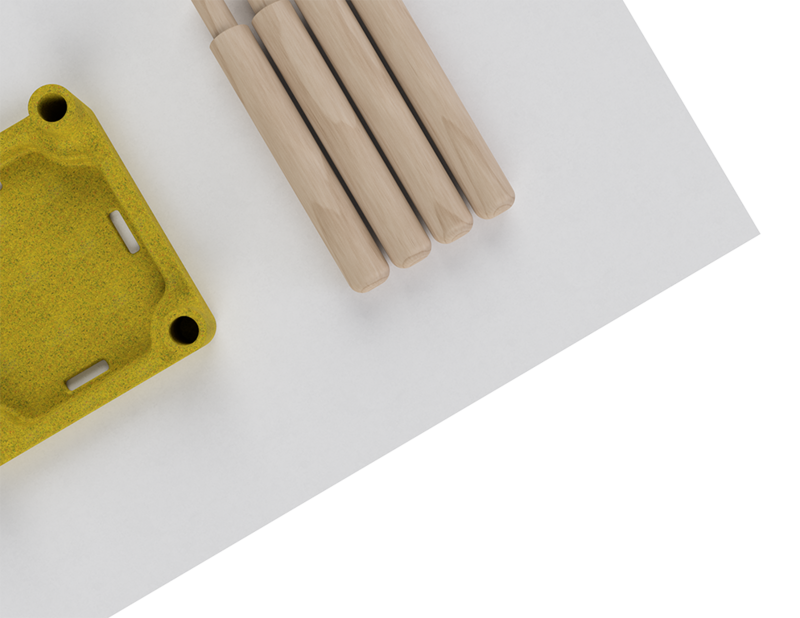 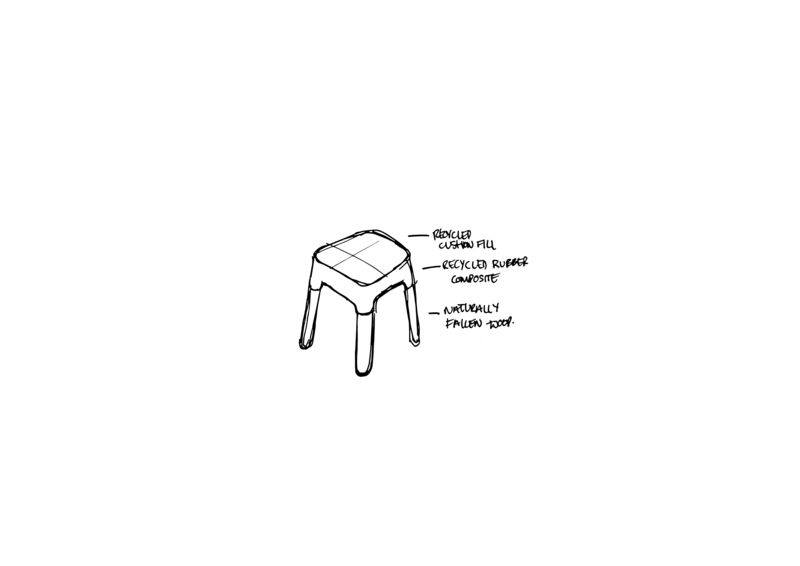 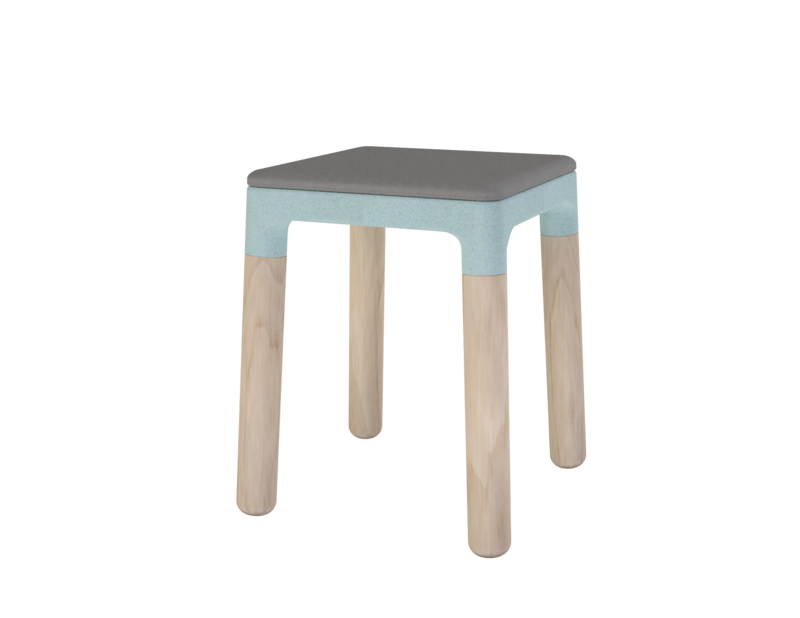 The stool is constructed of 40% content recovered from used footwear and footwear manufacturing scraps, another 42% is formed of naturally fallen wood.